We named this silent forest the White Forest. Originally a watercolor illustration, this original circle shaped wallpaper has a crisp and clear look. Combined with pure and clean tones, a cute wall decal and a dreamy wall lamp you can create a wonderful atmosphere in any child's nursery in an instant. Divided in four sheets it is easily applicable with any wallpaper glue on a clean, dry wall. We've added a easy-to-follow manual to go with the wallpaper. Wallpaper White Forest costs €109,95 each. 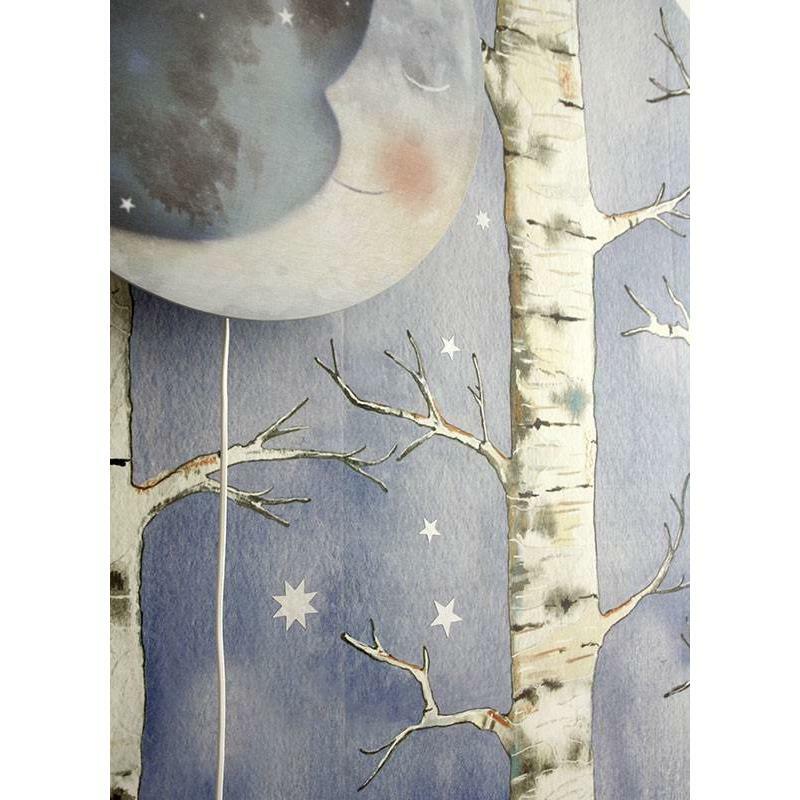 We combined the White Forest wallpaper with the "Sweet Dreams" wall lamp, a couple of silver Starry Sky stickers, Happy Hare or Polar Bears wall decals on a white background. Sleepy Moon! or our Bear wall decal are also an excellent match.